Thalaivaa is the latest release for Vijay, and although it’s not as instantly entertaining as his last film Thuppakki, it’s still a mostly enjoyable watch. 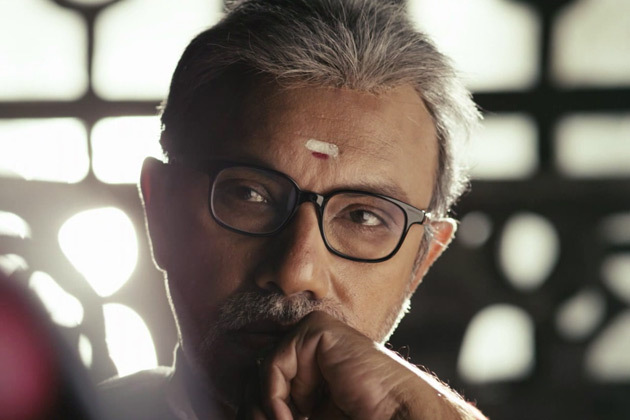 Vijay is excellent (although he doesn’t tread any new ground), and impressive performances by Santhanam and Amala Paul add to the overall impact, but it’s really Sathyaraj who steals the show as the reluctant saviour of the people. Thalaivaa is also the latest film to release here in Melbourne with English subtitles, and I can only hope that this trend will continue. Thanks to the Powers That Be in Chennai who have finally started to distribute subtitled films to locations outside of the US and UK – please can you start on the smaller releases now too? A.L. 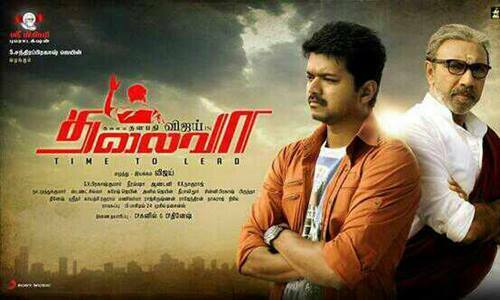 Vijay’s Thalaivaa is really a story of two halves. It starts off with some political shenanigans in Mumbai which sets up the story for the rest of the film. Ratnam (Nasser) is a political leader who is targeted by his opponents during a riot. However he is saved, along with his young son by Ramadurai (Sathyaraj), who pays for his brief foray into politics when he himself is later ambushed and his wife killed. Ramadurai hands his son over to Ratnam in the hope that he will have a better and safer life overseas, while Ramadurai stays and fights for the rights of the underprivileged Tamil people in Mumbai. After such a serious and well-constructed beginning, the film suddenly changes direction completely as we move to Sydney where Viswa (Vijay) and his ‘brother’ Logu (Santhanam) are running a water bottling company. Although Viswa seems to be doing incredibly well with his small company given his expensive apartment with views of the bridge and waterfront, he also has ambitions to make the big time as a dancer. The first half is light-hearted and there is plenty of humour as Viswa and Logu compete for the affections of Meera (Amala Paul), the daughter of one of their bottled water customers (Ponvannan). Sydney provides a picturesque backdrop for the songs, although the entire dance competition storyline is very contrived and unrealistic, not that there is anything unusual in that. However the really dumb entrance by Meera chasing a CGI butterfly is offset by her feisty and assured character who even gets to show off her dancing skills and proves to be just as good as the guys. Amala Paul is excellent as Meera and manages to create a believable personality with just a few scenes. Sadly she has much less screen-time in the second half and her character becomes even more clichéd, but she does a good job with her limited material, and she looks stunning too. Inevitably Meera and Viswa fall in love, but Meera’s father insists on meeting Ramadurai before the wedding can go ahead. However Ramadurai is now Anna, an underworld figure who rules the slum areas of Mumbai and ensures his own brand of justice for his people. As such, he’s wanted by the police, and Viswa’s arrival into Mumbai is a major headache for his father and his loyal followers. There is an unexpected plot twist after Viswa lands in Mumbai and the film changes tack again into a more typical mass-style thriller with the expected chase sequences through back alleyways and eventual, rather predictable final showdown fight scene. Viswa ends up taking over his father role and his transition from carefree dancer and small businessman to serious leader of the people isn’t well developed and seems rather too abrupt. Abhimanyu Singh plays Viswa’s main rival Bhima and his character is also majorly underdeveloped despite a good starting premise. I’d like to see Abhimanyu Singh do more than just flex and grimace at the camera as he seems to have done in his last few films, since he has played more nuanced characters in the past, and played them well too. However, we don’t get any real depth from his character here and it makes absolutely no sense that the political power brokers decide to back such a demented thug with his wholesale plans of indiscriminate violence. But back him they do, and despite a few unexpected twists, the story winds its way through the standard formula of good guy looking out for the welfare of the people vs. uncaring thug, only interested in power. The second half drags in places as we tick off each point on the ‘standard Tamil thriller storyboard’, although there are some excellent scenes amid all the clichés which liven up proceeding again. But its uneven and even the best efforts of Vijay, Santhanam and Sathyaraj can’t stop the feeling that we’ve seen all this before. Still, the film is well shot by experienced cinematographer Nirav Shah with good use of the cityscape in Sydney, and equally good cinematography in the dock and slum areas of Mumbai. 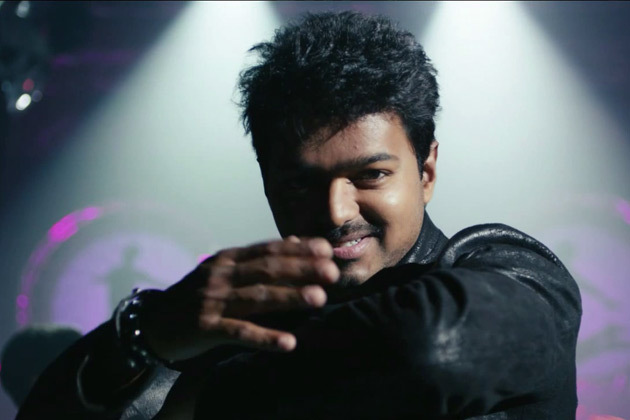 The choreography is well suited to Vijay and Amala who share good chemistry together. The songs by G. V. Prakash Kumar are generally catchy, apart from a more political song in the second half which could have been shorter. Ragini Nandwani also puts in a good performance as a second love interest, and the rest of the cast provide able support to the main leads. 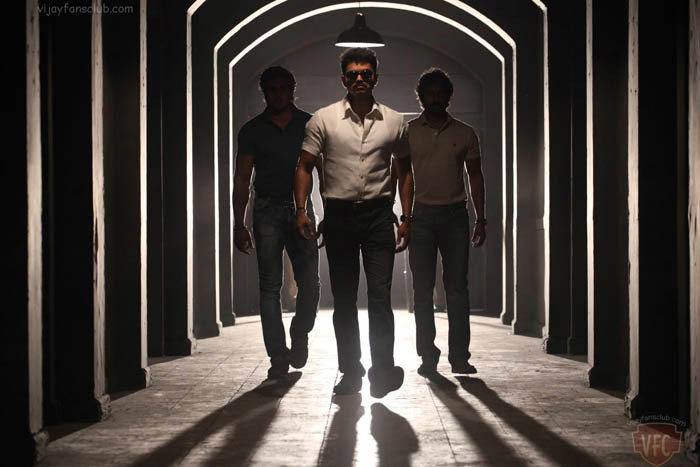 Overall Thalaivaa is rather less than the sum of its parts, but there are enough individually good scenes along with polished and assured performances to make it mostly entertaining. The story really needs to be sharper to offset the stereotypical characterisations but I still came away feeling that Thalaivaa is worth seeing on the big screen. Watch for Sathyaraj, Vijay and those dance scenes around Darling Harbour and Circular Quay which really are excellent. This entry was posted in Kollywood and tagged A L Vijay, Abhimanyu Singh, Amala Paul, G V Prakash Kumar, G.V. Prakash, Nasser, Nirav Shah, Santhanam, Sathyaraj, Tamil, Thalaivaa, Vijay. Bookmark the permalink.